If you create logos or graphics for your Second Life business then you will often have to use fonts. Sooner or later, the more fonts that are used the more difficult it is to keep track of them, so having font manager software can save a lot of frustration. 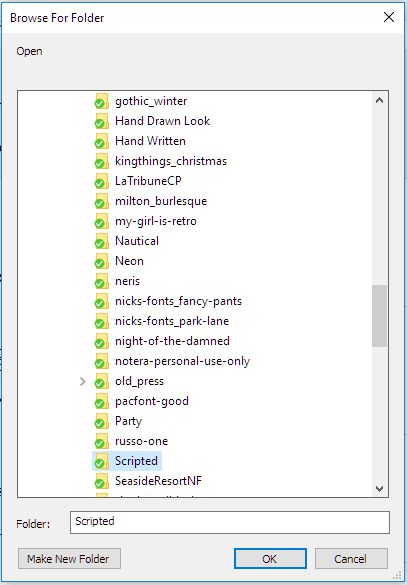 There are many font managers available, some paid for and some free, but the most useful I have found is called NexusFont. NexusFont is a small and free application that will allow you to keep on top of your collection of fonts. One of the most difficult aspects of creating a design can be selecting the right font, but the time spent on this can be reduced dramatically with NexusFont because it enables you to sort fonts into folders and compare them. 1/ Right click on the font you want to add. 2/ Select Copy to Folder. 3/ From the drop down menu either select a folder name that's displayed, or select Browse. 4/ When Browse is selected a window similar to the above will open. From here navigate to the folder you want to copy the font to. Now each time you need to choose a font for a specific project you can use the folders as a guide to compare similar fonts. Fonts can also be copied to different folders if they fall into one or more styles. Another time consuming aspect of using fonts is finding a font that has been used on an earlier project. If for instance a font was used on a particular logo some time ago it can be difficult to remember exactly what font was used for that design, and there can be little to jog the memory, except to run through all of your installed fonts.. 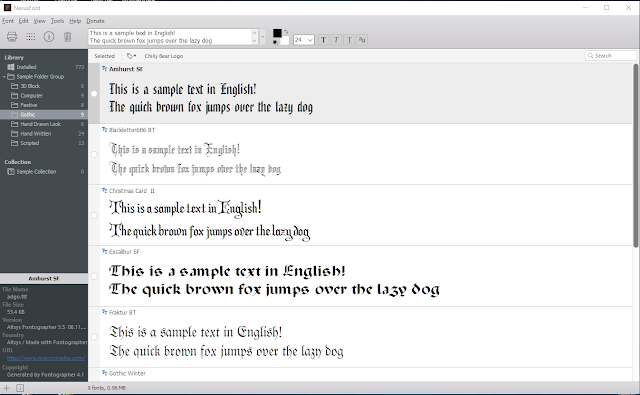 However, in NexusFont a font can be given a number of tags. 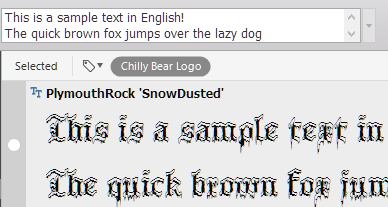 The example above shows the font used for the Chilly Bear Club logo, and it has clearly been tagged as such. 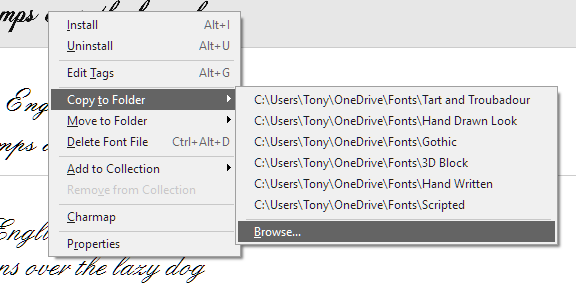 1/ Right click on the font in NexusFont, then select Edit Tags from the drop down menu. 2/ A window similar to the above should open. Type the tag name into the space provided and select either the Add or Replace options, depending on whether you want to keep or replace any existing tags. 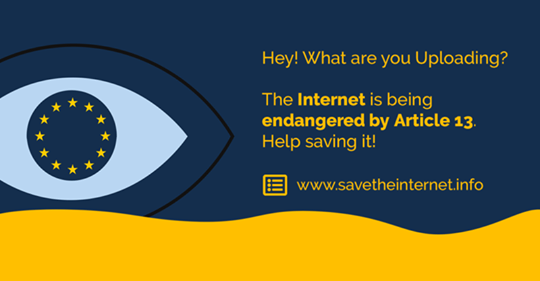 3/ Click OK and thats it. 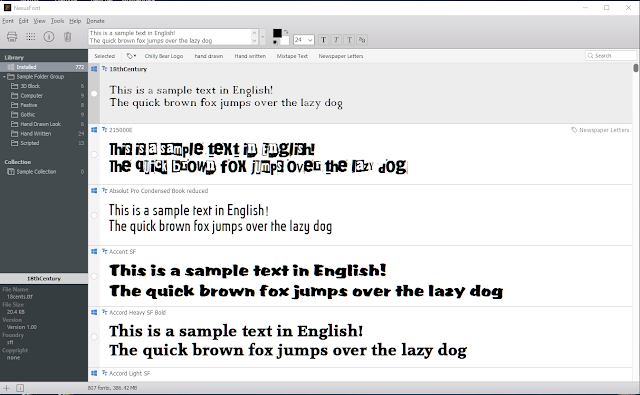 To find a tagged font simply use the search window to the upper right of the NexusFont window. So long as you give a font a tag thats relevant to the design it was used for, it should be easy to find when you need to. NexusFont has a number of other useful features to help you manage your font collection, but the ones briefly summarised here will help you to get started and will probably be the ones you'll use most often. As mentioned earlier NexusFont is free to download and use with no annoying trial periods or nag screens, so why not give it a try.